Vietnam Veteran, Robb Robichaud, attended the November 2017 retreat at Heart J Center in Loveland, Colorado. A prolific writer, Robb was inspired further after attending the retreat and creativity workshops. He returned home and wrote the following poem as a tribute to the SW:S songwriters. 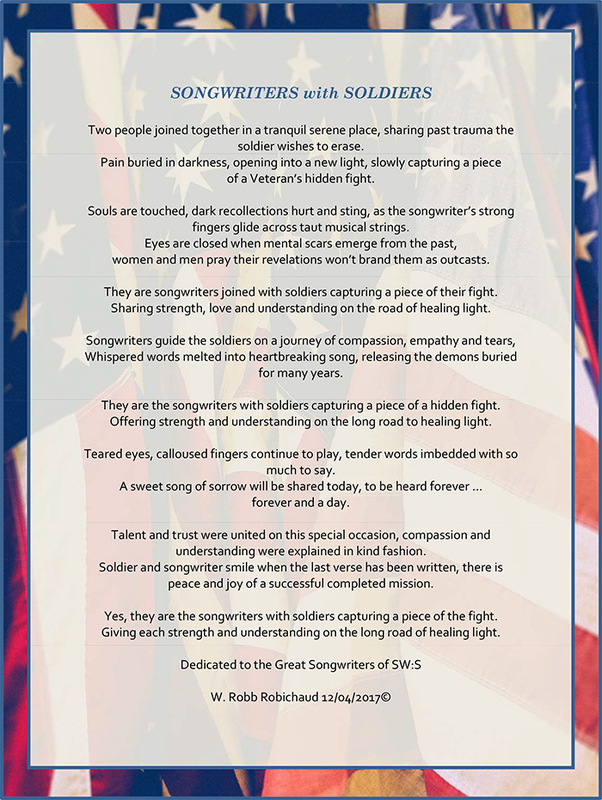 He hopes that by sharing it he not only extends his gratitude to the songwriters, but also helps other veterans gain a fuller understanding of how impactful the retreat can be. We are grateful to Robb for showing up, sharing his story through song and now his experience for the benefit of so many others.